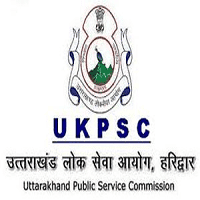 UKPSC Jobs Recruitment Notification 2019.Uttarakhand Public Service Commission (UKPSC) inviting applications for the positions of Civil Judge (Jr Division).Interested and Eligible candidates can apply for the positions. (a) A Bachelor of law from a University established by law in Uttarakhand or by the other University of India recognized for this purpose by the Governor. (c) Basic knowledge of Computer Operation. Selected candidates will get Rs.27,700- 770-33,090-920-40,450′-1080- 44,770 from the organization. Look around for “UKPSC Recruitment 2018 for Civil Judge (Jr Division) Posts“.